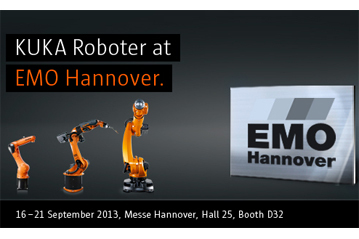 The EMO Hannover will be opening its doors from 16 to 21 September 2013. At the world’s premier trade fair for the metalworking sector, international manufacturers of production technology will under the keynote theme of “Intelligence in Production” be showcasing their products, solutions and services relating to metal as a material. 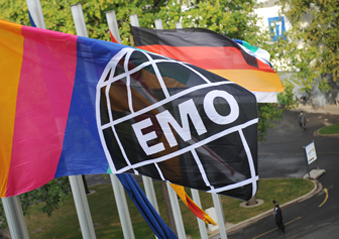 “The EMO Hannover will once again be an event of superlatives for our sector”, affirmed Carl Martin Welcker, General Commissioner of the EMO Hannover 2013, speaking at the International EMO Press Forum held at John Deere in Mannheim on 1 and 2 July. “This is a highly impressive confirmation of the huge demand we are seeing from companies all over the world”, added Welcker. By the end of June, around 2,030 companies had registered. On a net exhibition area of over 177,600 m², they will be showing the international trade visitors how they can best meet and master the challenges they face in the production process. 60 per cent of the exhibitors come not from Germany, but from 39 other coun-tries of the planet. Reflecting its leading status in terms of technology, Europe, with more than 1,500 exhibitors, is the most heavily represented region. Around a fifth, more than 430 firms, however, are arriving from Asia alone. “For every machine tool manufacturer who wants to do business on the international scene, participating in the EMO Hannover is an absolute must”, avers EMO General Commissioner Welcker. 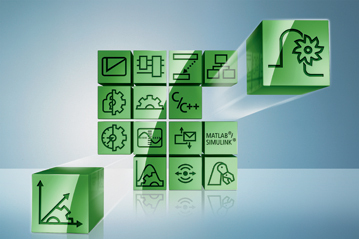 The machine tool industry has more than enough tasks and challenges to meet and master. This is impressively confirmed by how the market has developed. In the past 20 years up to 2012, international consumption of machine tools had well-nigh tripled, to around 66 billion euros. Since the turn of the millennium, it has increased by an annual average of almost 5 per cent on a euro basis. This growth has been driven primarily by Asia, where in 2012 approximately 60 per cent of total international machine tool production output was consumed. 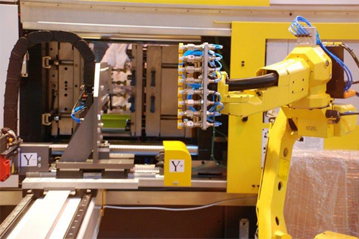 For the EMO Hannover 2013, as the world’s premier trade fair for the metal-working sector, the international macro-economic environment plays an im-portant role. This year, economic pundits are predicting another rise in machine tool con-sumption, of 2 per cent, to a record volume of what will then be around 68 billion euros. This means that following three strong preceding years, we are seeing an incipient temporary slowdown, resulting primarily from continuing loss of confidence in the prospects of the global economy. Economic pundits anticipate, however, that GDP and industrial production output will gain signifi-cantly in momentum during the second half of 2013. 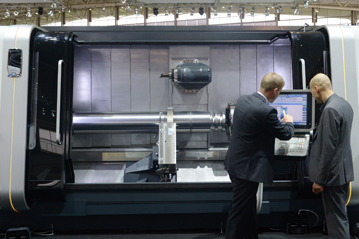 Machine tool consumption is accordingly set to grow by one-tenth in 2014. 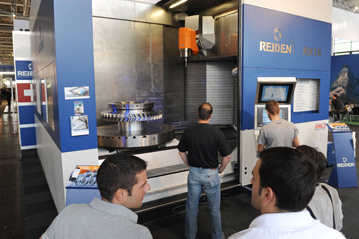 This will benefit the biggest customer groupings of the world’s machine tool manufacturers: the automotive industry and its component suppliers, machin-ery manufacturers, metalworking companies, the electrical engineering indus-try, precision engineering and optics, including medical technology, plus other vehicle producers (aviation industry, rail vehicle manufacture and shipbuilding). They will be investing over 6 per cent more in the current year, a figure that is set to double in 2014. The success of the EMO Hannover, as the world’s premier trade fair for this sector, is significantly underpinned by the globalised nature of the machine tool business. More than half of global machine tool production output is inter-nationally traded. The volume has risen by 80 per cent since the turn of the millennium. This applies even more cogently for Europe’s machine tool indus-try, which exports almost 85 per cent of its production output. According to an analysis prepared by the European Association of the Machine Tool Industries (CECIMO), moreover, more than 80 per cent of its exports involving metal-cutting machine tools feature NC technology. In the USA’s machine tool indus-try, the figure is a mere 61 per cent, while in China’s corresponding sector it’s an even more modest 44 per cent. Germany, the host country of the EMO Hannover 2013, ranks among the major players on the international machine tool scene. Not only will the Germans, who will be providing the largest number of exhibitors, with more than 800 companies, be a major presence at the fair; as the second-biggest exporter and fourth-largest market, Germany is also a heavyweight when it comes to research and development work in the global machine tool industry. 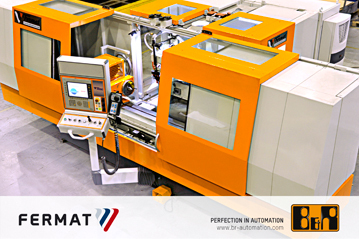 Last year, German manufacturers produced machines worth 14.2 billion euros. This corresponded to growth of 10 per cent, the best result among the five biggest producer nations. The pre-crisis level of 2008 has thus been reached again too. In the ongoing year, German manufacturers, like their international counterparts, are focusing on consolidation. The forecast is for modest growth of one per cent. This trend is once again being fuelled by exports, which at around 9.6 billion euros with an export ratio of 73 per cent are already running at a record level. Here, too, modest growth of one cent is being predicted for the current year. So all eyes are focused on what’s going to happen in the months ahead. Order bookings from abroad are perceptibly stabilising. While export orders for Ger-man machine tools fell by 18 per cent during the year’s first quarter, the drop had shrunk to a mere 8 per cent in the year’s first five months up to May. Experience has shown that this will be followed by a consolidation in domestic orders after a time-lag of several months. The investment plans of Germany’s major customer groupings also give per-suasive grounds for a more optimistic assessment. Though in the current year growth of only 1.7 per cent is being forecast, the figure predicted for 2014 is set to exceed 7 per cent again. Encouraging signals are also coming from the Ifo business climate index in the capital goods industry. Expectations for future business developments have been indicating an uptrend until June of this year. Against this background, the VDW (German Machine Tool Builders’ Associa-tion) expects that orders for machine tools will receive further impetus from the EMO Hannover. Order trends in the past show that this has regularly been the case after an EMO Hannover. “And this can be confidently predicted after this year’s event as well”, concludes Carl Martin Welcker.